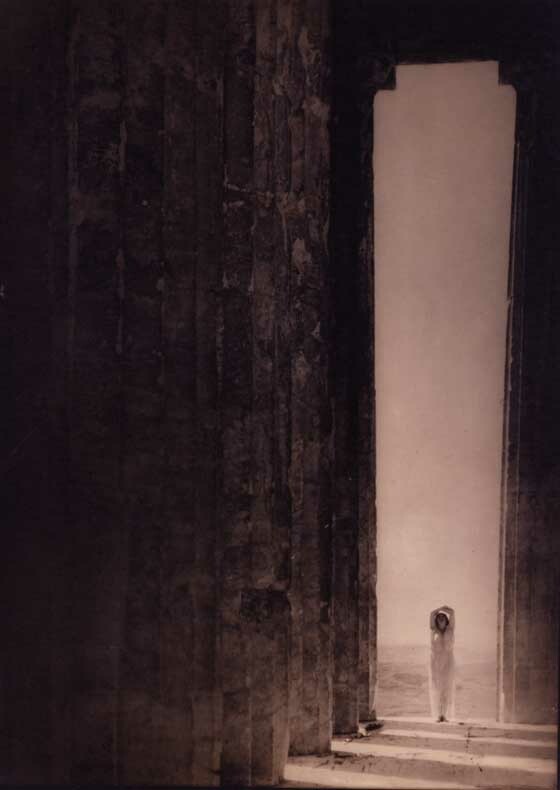 Jan. 8 Art Minute: Edward Steichen, "Isadora Duncan in the Parthenon, Athens"
The founder of Modern Dance, Isadora Duncan (1877–1927) traveled the world promoting her ideas on free and natural movement, women’s rights, and dance as a “high” art. She was particularly interested in the simple, natural dances of the ancient world as represented by classical sculpture and Greek vases, dancing in free-flowing drapery, with bare feet and loose hair. Her dancing and her philosophy created a sensation, gaining her worldwide fame and making an impact on fashion and culture.